Avera acquired 369 acres in the La Porte area near Houston. HOUSTON – (Realty News Report) – Avera Companies, a Houston-based commercial real estate development, construction and investment firm has acquired 369 acres from PPG Industries, in a major land play on the southeast side of the Houston area. The site, one of the largest remaining parcels of land in the Port of Houston area, is comprised of two tracts. The first is 235 acres, located on the west side of Bay Area Blvd. 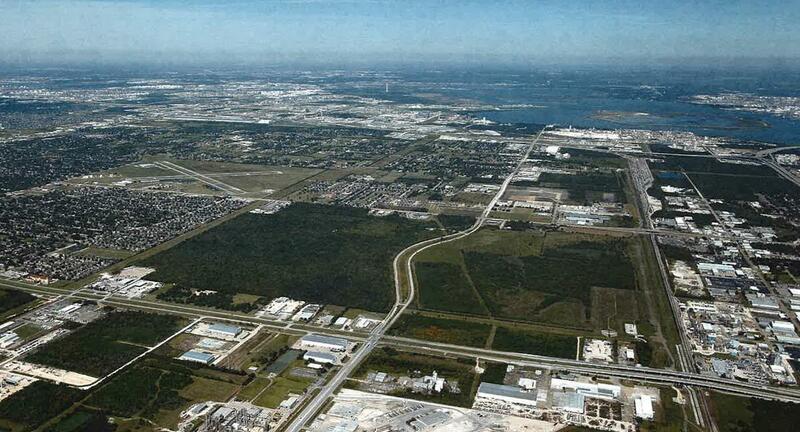 The second is 134 acres, located on the east side of Bay Area Blvd. in the La Porte community. Subsequently, Avera sold the 235-acre tract to Beazer Homes, which will develop a master-planned residential community and a large multifamily project. Avera will retain 134 acres, which will be available for commercial, retail, and light industrial use. “The east side of this tract will offer a variety of uses, and its’ strategic location will be advantageous as we look to create value across the street from Beazer Homes. We are very excited about this project and look forward to working with the City of La Porte to build a meaningful development that will undoubtedly be of great benefit to the community,” said John Nicholson, Executive Vice President of Development at Avera Companies. The site is bordered by Spencer Highway to the north and Fairmont Parkway to the south. Located in southeast Harris County, the site is near the La Porte Municipal Airport and not far from two key shipping facilities: the Port of Houston’s Barbours Cut Terminal and Bayport Terminal. Avera is primarily known for its industrial developments, including the 700,000-SF Rampart Corporate Center, the 500,000-SF Vinmar building in Baytown and the 600,000-SF 225 Railport project; in addition to buildings in the Permian Basin, Eagle Ford Shale and the Bakken Shale. Avera also built a medical professional building in Sugar Land.